We are building Virtual Insurance Agents (chatbots) to help insurers to engage their customers via Facebook Messengers. Insurance companies lose customers every day because of unavailable or ineffective agents. Consumers are at risk from having the wrong coverage, losing coverage when they forget to pay premiums or switch credit cards and forget to update their auto payment and are frustrated by slow and cumbersome claims processes. Solves the perennial problem all insurance companies and insurance buyers face: how to assure the right coverage, convenient premium payment, and efficient claims processing – without the time and expense of hours on the phone or navigating confusing websites. Our virtual insurance agent links insurers and consumers via the messenger apps we all use every day. 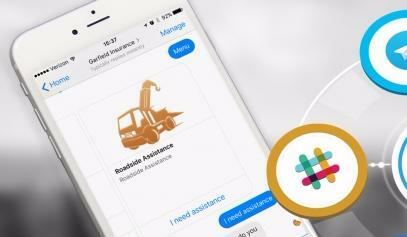 This proprietary, AI-driven chatbot technology learns from customer chats to identify the right coverage, provide convenient payment reminders with credit card processing, and support simple, guided claims processes – all via a smartphone. Solution integrates with existing insurance company systems and with all popular messenger apps. The result: Insurers keep long-term happy customers while generating more revenue and reducing overhead costs. Insurance buyers get the coverage and service they need when they need it. We lighten the insurance load for everybody. It’s that simple. We are solely focused on the insurance market and have built a "plug and play" product; our competitors target an entire enterprise support market. Their product required massive effort to get started with no immediate value being delivered. In addition, if a user pays for the policy using our payment options, we charge 1.5% fee. We have a SaaS-based business model, in a B2B2C product structure. Our white-labeled virtual agent platform is being sold to insurance companies who deploy it under their own brand and use to communicate with customers. We charge insurance companies between $0.50 to $0.15 (volume based pricing) for each Monthly Active User (MAU) communicating using Virtual Agents. - Slow consumer adoption. Our solution requires consumers to feel comfortable to communicate with insurers via messengers. While we have no power to educate the market, the insurers are in a good position to deliver such value proposition. - An entrance of a well funded / major company into Virtual Agents space (such as LinkedIn, Microsoft, Google). We mitigate by focusing on one narrow vertical - Insurance. We are training our AI to be ready for a plug and play type of scenario (whereas the larger companies must focus on serving an entire enterprise support). We are very experienced founders with multiple startups behind our belts, we felt that accelerators and incubators will bring us very little value and therefore didn't apply.